This charming West Orange home received a custom exterior remodel by Above & Beyond. James Hardie Fiber Cement Siding and Trim were used throughout for maximum performance and curb appeal. Sometimes you just need to change it up a bit to keep things exciting. 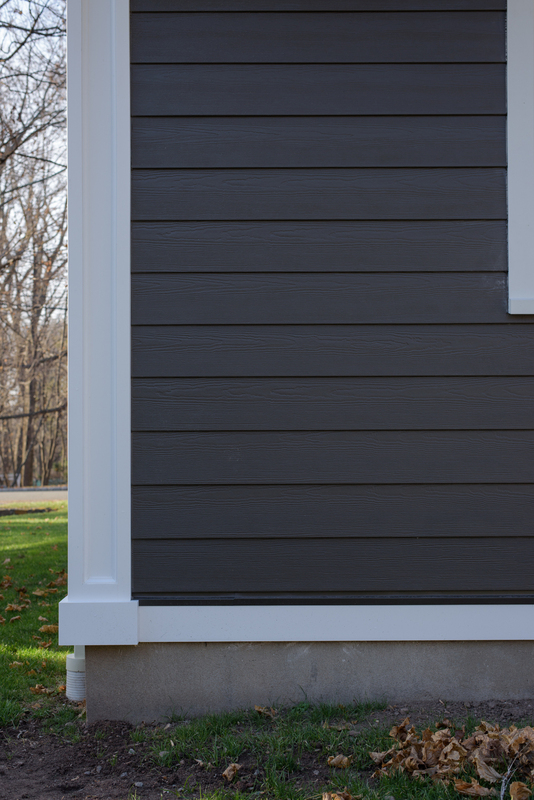 After years of staring at the same bright yellow siding our customers decided it was time to spice things up and go in a whole other direction, Rich Espresso, James Hardie Lap Siding to be specific. Using matching siding on the house and garage really tied the whole flow of the property together and also bought this happy family 30 years of maintenance free exteriors. The finishing touch here was the Arctic White custom corners throughout.